The Opera browser is one of the first browsers that introduced a free VPN service to the desktop. Well, the company is now bringing the same features to its Android app as well. 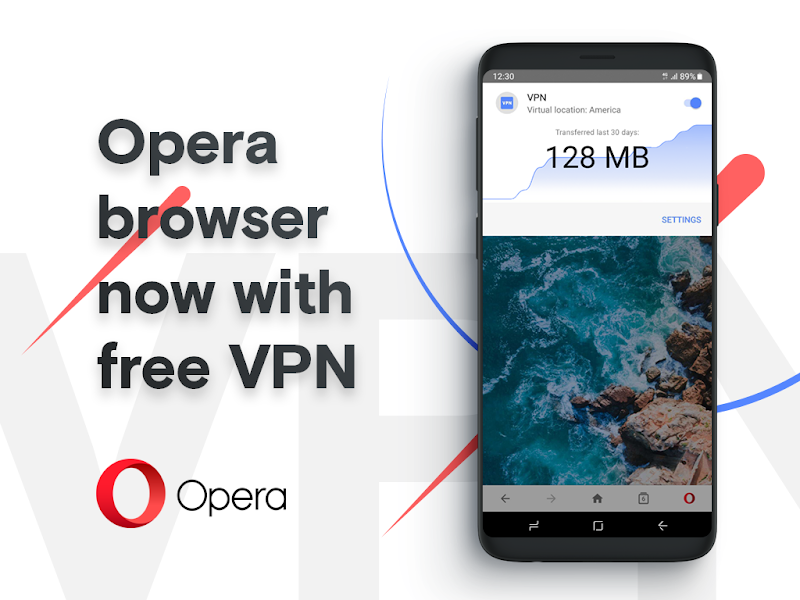 Opera for Android 51 will enable the users to browse the web securely by easily connecting to a VPN server, from within their browser. Additionally, Opera confirms that the VPN does not store any data, so any information shared on the platform remains private. Opera also informs that the Android version of their VPN will have support for crypto pairing – similar to the desktop version. The new Android 51 will also go through several under-the-hood improvements and an overall increase in speed should be noted. Another notable change in the new feature will be the deprecated support for the Opera versions Android 4.1 to Android 4.3 – that was introduced in 2012. According to the company, the users running the previous versions can switch to the latest as no further updates are planned. To download the latest version of Opera for Android, visit the official Opera download page. To enable the VPN and connect to a server, just go to settings or tap the VPN icon in the top left corner. You can choose from a series of regions also see statistics regarding your browsing from the same screen.